Cannock Chase is not all Pine Forest to the north where Springslade Lodge tearoom is located there are rolling hills and the beautiful Sherbrook valley. A short walk soon gets you to the Glacial Boulder and a little further to Brocton Ancient Oak Woodland. Springslade Lodge offers many circular walks of various lengths and of different interest. 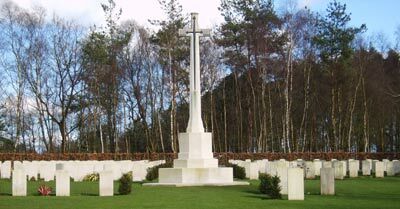 The German War Graves and cemetery and the Commonwealth Graves along with the Katyn Memorial are all a short walk from the tearooms. A short drive sees you at Milford Common and the entrance to the famous Shugborough Hall and Stafford Museum a little further takes you to the historic Wolseley Bridge and The Wildlife Centre. The Haywood villages can be visited with a walk to the Ancient Packhorse Bridge that crosses the river at Shugborough. Visit the museum at Brindley Heath or the Cannock Chase Museum at Hednesford. Towns close to the tearooms are Stafford, Cannock, Rugeley and Lichfield. Posted in activities and tagged cannock chase, heart of england way, staffordshire.